It all started with a story of a man in India who planted a jungle by himself. A single man, spending nearly 40 years taking this once barren landscape and creating an entirely new ecosystem. Animals that once had no where to go, due to city development encroaching on their habitats, now call his jungle sanctuary their home. The air is fresh. And the dry, sandy dirt is now fertile and rich in nutrients. We found a little over 40 acres of open and fertile land just outside Colorado Springs, and we fell madly in love with it. I envisioned a homestead, relatively off-grid, lots of fruit trees, chickens, pigs, goats, a gaggle of children….Eric saw so much more potential. A forest on a mission. Both being of the mindset that we must always give back, it was easy to find a million reasons why planting trees was what we were meant to do with this gorgeous land. Trees are so vital to our planet, to mankind, and the wildlife around us. Reducing erosion caused by wind and rain, providing food and shelter for local wildlife, lowering temperatures by transpiring water and creating shade, and by offsetting carbon dioxide directly from Earth’s atmosphere to create oxygen. But more than just what trees do daily, we saw a vital opportunity for the future. Our children. Students. They’ll inherit this earth after us. We want to cultivate a sense of responsibility through exploring and learning right here in our forest. Eric and I hope to open our homestead up to local school groups, or even families who wish to learn more about different species of trees and all the amazing things they can do. Eric is creating an easy-to-use app that will allow children to take photos of trees and learn about them, all the while, these photos will update our donors on how their tree is growing. Our trees will help assist the teachers in education on a grand scale. With the app, students will go on a natural walk and discover details about trees that help them see these gentle giants as more than just things, but rather, important living beings for our community. We are working closely with local and regional teachers to create detailed and age-appropriate lessons catered to each group, through the use of Science, Technology, Engineering and a bit of Math-or STEM- students will get a holistic lesson that goes deeper than any worksheet…and is WAY more fun. These lessons will meet, if not exceed state benchmarks and expectations. We hope to start with 15,000 trees of all different species and our dream is to expand to the surrounding land to provide more in time. Not only will our forest provide fresh air and habitats, but an exciting lesson for children for years to come. Should you want to participate in growing this forest and leaving a lasting legacy for our children and planet, you may make a donation here in any dollar amount. We will plant trees in school names and honor on your behalf. Or, you may visit our website at http://www. meadowandpineoffsets.com/ where you can purchase a tree from our list of species picked specifically to thrive in the gorgeous Colorado climate and personally rename your tree for yourself or a loved one. 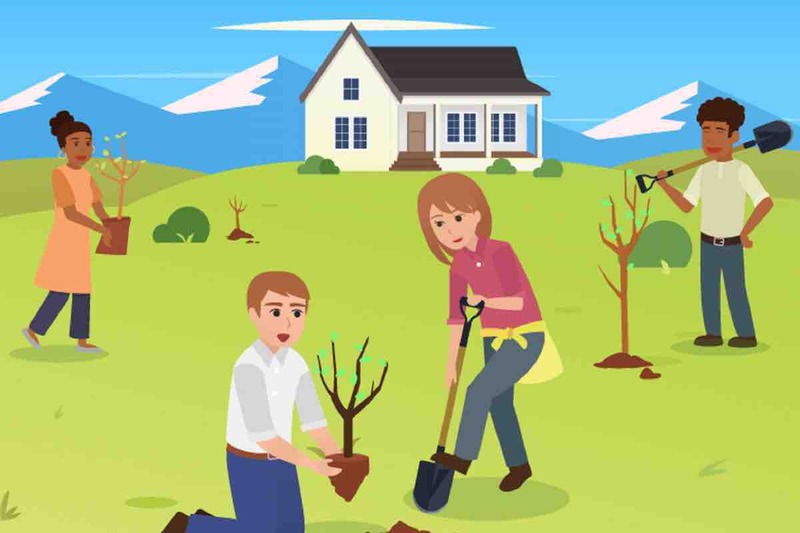 Also on our website is a bit more information of the benefits of trees and who we are as a family. We want to give back, in a huge way. To our planet, to our community, to our friends and families, and to you-our donors. You are the ones who put the most faith in us and our educational afforestation project. I cannot even begin to measure the level of gratitude and appreciation I have for those of you who do find this a worthy cause. Who donate, and help us plant a forest. For our future and for our children. I am indebted to your time in reading this message and appreciate your consideration beyond words. From my wild family to yours.